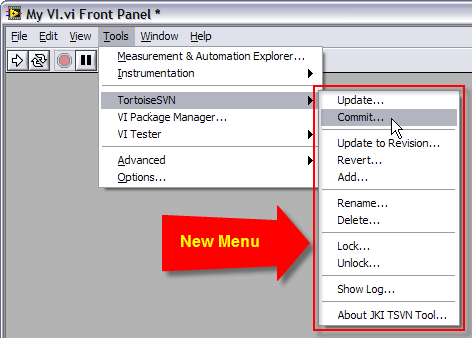 JKI is pleased to announce the release of the TortoiseSVN (TSVN) Tool for LabVIEW v2.2.0. All users are recommended to upgrade. See below for detailed changes. JKI is pleased to announce the 2.0.1 release of the JKI TortoiseSVN Tool for LabVIEW. This is a maintenance release with minor fixes. Please see the release notes for more details.